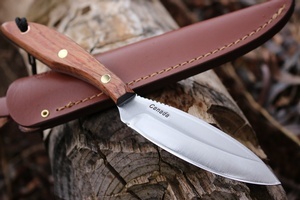 The classic Canadian blade, this is the original DH Russell Belt Knife, in production since 1957. 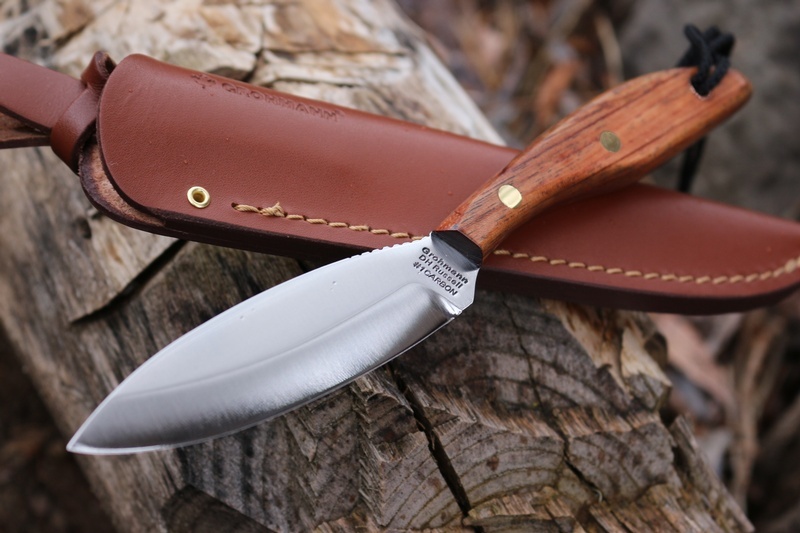 The knife is a great general Outdoor knife, it's leaf shaped blade lends itself to many a task around the camp, when hunting, and trekking in the great Canadian Outdoors. 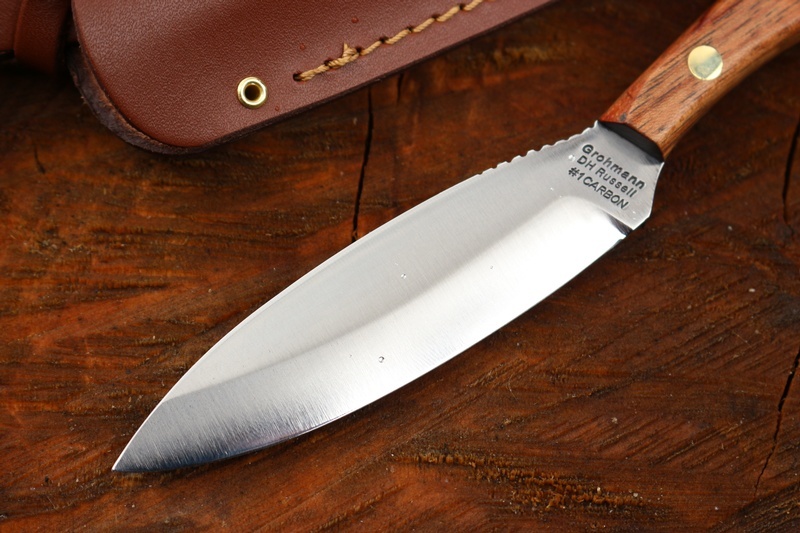 Full broad tang with Rosewood scales and solid brass pins make for a tough knife and the 1/8th stock German High Carbon C70 steel gives good edge holding and ease of sharpening. The knife is a classic of the Outdoors and an icon of Canadian Outdoorsman! 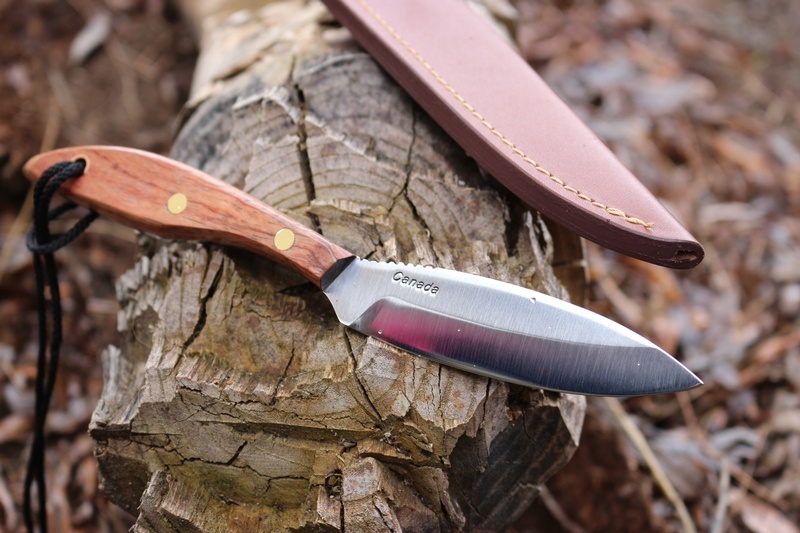 Purchase through PayPal by using the "Add To Cart" button above or use the form below to order the Grohmann DH Russell N01 Rosewood Carbon . 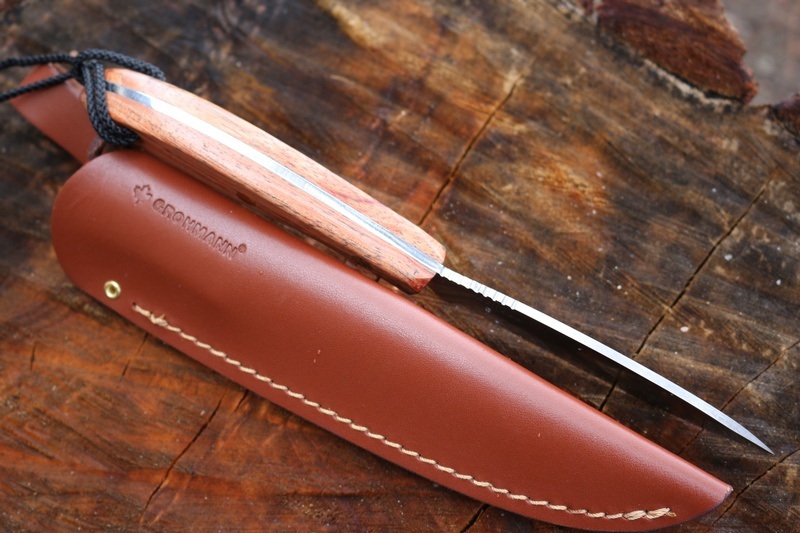 Feel free to contact us if you have any questions about the Grohmann DH Russell N01 Rosewood Carbon .